Your vehicle is one that you love, and that you want to drive often. Your car or truck is a method of transportation but for many it is also a combination of showing off your personality and your personal tastes. If you want to make changes to your car or truck, or if you need to make the needed repairs to your vehicle, you can find all the bumpers, the bumper covers and the bumper accessories here, where we have a complete line of after market parts for your to choose from. Aftermarket parts are manufactured to give you the exact fit, the exact style and to be created from high quality materials that are meant for the repairs to your car or truck, without taking the value away from your vehicle. If you are repairing your vehicle, and you are going to trade it in, you will retain the value of your car when using aftermarket parts for your repairs, because the aftermarket parts look the same as original parts, but they are not as costly, which is great for you! We offer you discount pricing compared to what you would buy at the local dealer. The local dealer does not carry the aftermarket parts, because they are only authorized to sell you the more expensive original parts. Why pay more when you don't have to? 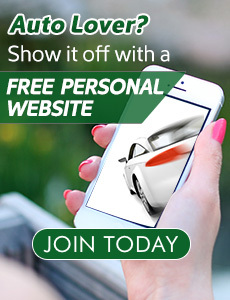 When ordering online you are going to get the best of the discount auto parts, plus the convenience of ordering online. All orders can be placed twenty four hours a day. Our discount bumper outlet never closes. You will find you can call customer service during regular business hours, or you can send an email to customer service, and replies will be made on the next business day. Orders are shipped within just twenty four hours, so you know your order is going to be processed fast. Need it delivered faster than regular ground service? You can make the choice to upgrade your shipping and get your order to your home or garage faster than ever. 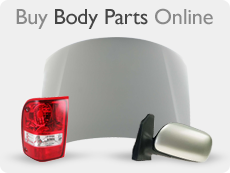 Check out the huge selection of online discount parts for your great savings and convenience now. Includes brackets, step pads, and mounting hardware; With holes for license light and license plate; Ensures precise and perfect fit for a reliable and efficient performance; Adds unique and distinctive styling that gives your vehicle a custom look; With 18 months limited Prozone warranty. With provisions for emblem and grille; With holes for fog light and lower cover; CAPA certified; A high quality, direct fit OE replacement bumper cover. A high quality, direct fit OE replacement air deflector extension; With 1-year limited TruckEFX warranty. 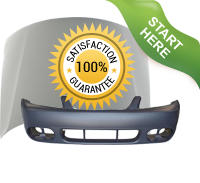 A high quality, OE replacement bumper bracket; With 1-year limited Martins warranty. Made of high-density material for maximum durability and reliability; Designed to match OE specifications for a precise fit; With 18 months limited Prozone warranty.